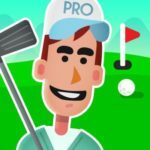 Ketchapp has released a new sports game, and that game’s title is Speed Golf. Then again, we probably shouldn’t be calling it a sports game per se, even if that’s how it’s filed in mobile app stores. 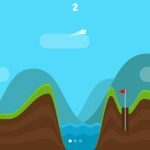 Like virtually every other Ketchapp title, this game is available for both Android and iOS devices, and it differs from conventional golf in the sense that you have five seconds – only five seconds – to get the ball in the hole. 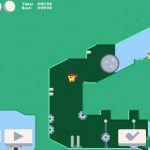 The game also promises that you can collect coins and unlock landscapes that “change the gameplay in new and interesting ways.” For a company like Ketchapp that likes to keep it as simple as possible, this is indeed an interesting twist. So how can you master a game like this and become the best Speed Golf player out there? We can’t promise we can make you the best, but our list of Speed Golf tips and hints should at least help make you much better. Speed Golf comes with two types of shots – a hole-in-one, and a chip-in. Shoot a hole-in-one, and you’ll be taken to the next hole. For the chip-in, doing this will also take you to the next hole, but will add in a five-coin bonus. Hitting a hole-in-one is self-explanatory – get the ball in the hole with one shot. Shooting a chip-in can be done by shooting the ball in the hole or hitting the flagpole without any bounce. 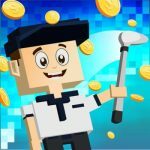 Although, hitting a successful chip-in is the most obvious way you can collect more coins in Speed Golf, there are other ways to do so. You will earn some free gifts in the game, which arrive as prize box icons; these show up typically after you lose a game, so think of it as a consolation prize that’s actually worth it. Aside from that, you can watch ad videos, which also show up after random losses, or simply become available to you. Either way, you can earn 20 to 30 coins through gifts and ad videos. Good on Ketchapp for making the available purchases do more than just change things cosmetically. The different landscapes are indeed capable of offering a new gameplay experience. For example, candy courses are bouncier than ordinary levels, while deserts have more friction. Gravity is higher in Mars, and the city course puts you in the dark. In short, all of the available levels or landscapes have their own unique characteristics and challenges within. The wind can also play a part in how you shoot, which is another reason why this game is more than just your usual casual Ketchapp title. If the wind blows to the left, you’ll have to hit a harder shot, while if it blows to the right, you’ll want to go a little softer and smoother. Wind effect changes more often as your score goes up, so take this into account and always make it a point to practice so you can deal with the nuances of the wind.